100% refundable less $150 cancellation fee to be subtracted from refund. Refund will be 50% of rental cost for the entire reservation. 1. 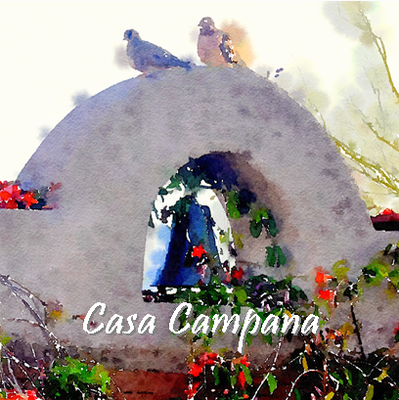 Casa Campana is a No Pets , Non-Smoking property. No exceptions. 4. A 50% up-front deposit is required to secure all reservations, with the remaining 50% to be paid 30 days prior to arrival. Our cancellation policy is outlined in our Rental Agreement and can be provided separately upon request.